Reddit is a victim of its own success, with the site and its many “subreddits” quickly becoming unwieldy for browsing. But you’re no victim. You can cut through the clutter with third-party Reddit tools. The five favorites below are all free, and all of them have such obviously useful features for organizing and navigating the site, it’s surprising that Reddit hasn’t incorporated competitive features (or bought out these tools). Whether Reddit will ever get its act together, however, doesn’t matter—you can do it yourself now. Reddit may be the site of the moment, but its design looks like something from the 1990s. Reddit Enhancement Suite drags Reddit’s look into the current century, and brings some useful features along for the ride. This browser plug-in is available for Firefox, Google Chrome, Opera, and Safari. Reddit Enhancement Suite offers a number of features to improve the Reddit.com interface. Highlights include a “never-ending” Reddit page layout, in which the next page automatically loads as you reach the end of the current page. You can also subscribe to discussions, an indispensable feature if you make a lot of comments and want to be notified when people reply to them. If you prefer to keep personal links separate from work links, Account Switcher makes it easy to go from username to username. 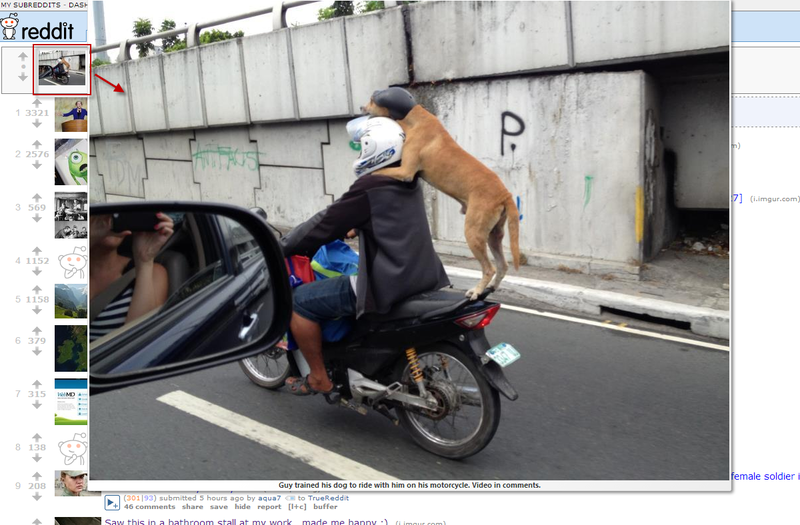 With the Inline Image Viewer, you can blow up images posted to Reddit without leaving the site. The Live Comment Preview allows you to see comments updating in real time as you write. This feature shows you what the comment will look like when you press the submit button—invaluable, given the idiosyncrasies of Reddit’s formatting tools. The developer is planning to bring out a paid Pro edition soon, which will add the ability to sync your RES settings via the cloud. No word yet on pricing. One of the most popular sections on Reddit is the pictures subreddit, where users post funny, quirky, and unusual images for people to laugh over, ponder, and pass around. But navigating the interface and individually opening each link, then closing it to move to the next one, is time-consuming and tedious. Enter RedditPics. 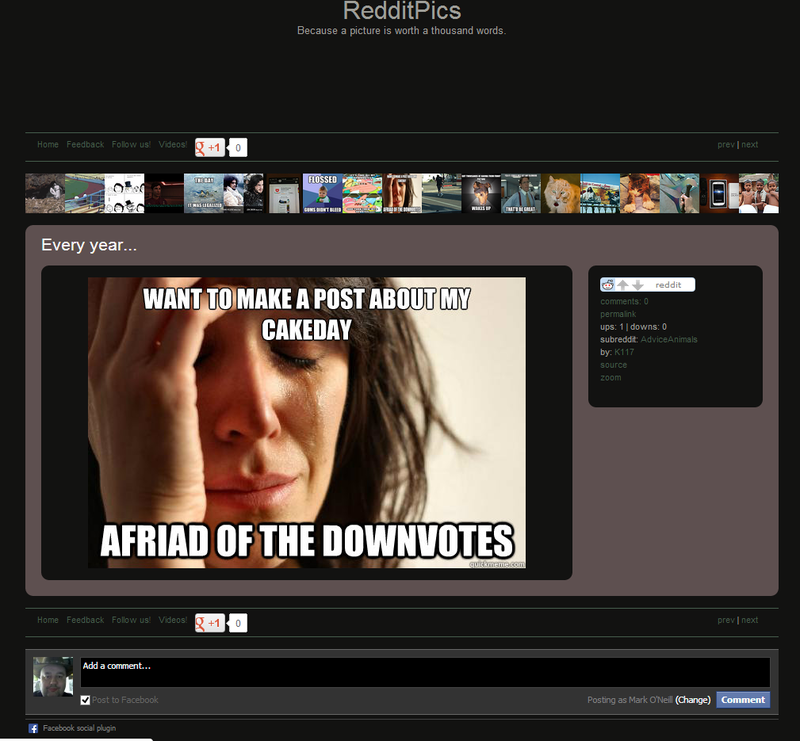 This Web-based tool scrapes the pictures from the subreddit and presents almost 200 of them on one page. At first glance the site looks worse to navigate than Reddit itself, but as soon as you click the first picture, you’ll start to appreciate the greater flexibility of this format. When you click a photo, you can vote it up or down, as well as view and leave comments. When you’re finished with an image, click the forward or back button to see the next item. You can zip through all the images until you find the one you seek. It’s a lot faster than opening each link via Reddit. Reddit is also great for sharing funny, quirky, and unusual videos. And the Web-based Reddit TV lets you filter posted videos based on keywords that you specify. Reddit TV provides an easy way to view videos posted to Reddit. When you choose a video, it appears right there on the same page, and you can watch it in its entirety. When it finishes, choose another category or subreddit and keep going. In essence, provided that videos are available in your desired category or subreddit, you can enjoy a never-ending video Reddit. If you want to post comments or vote on Reddit, you must click the title link above the video. The Reddit TV site offers no commenting or voting features. Hover Zoom is one of the best and most useful Chrome browser extensions. It allows you to move your mouse over a small picture and instantly magnify it, without clicking or opening anything. Hover Zoom provides a quick preview of images from Reddit thumbnails. With a site such as Reddit, on which most links have an image attached, being able to view the images simply by moving your mouse down the page is a huge timesaver. The feature can get annoying when you mouse over an image by accident, though. To prevent unintended picture pop-ups, you can either specify a time delay before the plug-in kicks in or activate the plug-in exclusively by means of a keyboard shortcut. Reddit can be a confusing place. It has thousands of subreddits, so finding the most interesting ones can be difficult. For an overview of all the Reddits out there, along with their popularity, the aptly named SubReddit Finder is a smart first stop. Before you click the link to visit the site, note that the most popular categories on the page appear more prominently, and that some of those are best viewed privately, rather than with children or coworkers nearby. 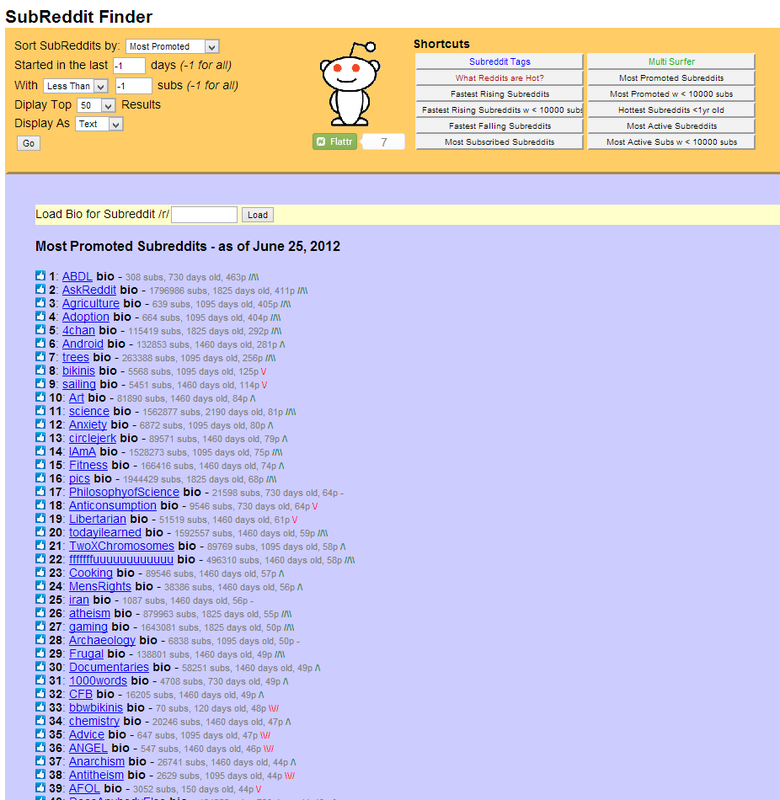 The confusing world of subreddits becomes easier to navigate with SubReddit Finder. Using the site is easy enough. Click the title of a topic that interests you, and you’ll go to another page that breaks down that category into subcategories. From there, you can move directly to the Reddit page in question. For a query of a more general nature, look toward the top of the screen in the yellow section, where you can find links to reddits that are hot, the fastest-rising subreddits, and the most active subreddits. You can also find subreddits with the help of various filters, going by start date or minimum number of subscribers, for example. Reddit’s basic premise of sorting worthwhile Web reads through voting works great: The good stuff rises to the top of the page, while the bad stuff gets buried. Unfortunately, that blunt instrument can still produce a page that’s extremely cluttered and hard to navigate. These third-party tools help you sift through the piles so that you can do less searching and more reading. Do you have a favorite Reddit tool? Tell us about it in the comments. Many people visit Reddit to view funny photos, but there is an easier way to see them. RedditPics provides thumbnails of photos currently in the Pictures subreddit. Hoverzoom provides larger versions of thumbnail pictures when you hover the mouse over them. Subreddit Finder allows you to filter the list of subreddits to help you find the ones you'd like to read.